Department of Disaster Management (DDM) under the Ministry of Disaster Management and Relief was set up in November 2012 following enactment of the Disaster Management Act 2012. The Department has the mandate to implement the objectives of Disaster Management Act by reducing the overall vulnerability from different impacts of disaster by undertaking risk reduction activities; conducting humanitarian assistance programs efficiently to enhance the capacity of poor and disadvantaged as well as strengthening and coordinating programmes undertaken by various government and non-government organizations related to disaster risk reduction and emergency response. DDM is responsible to execute the directions, recommendations by the Government in connection with disaster management as well as the national disaster management principles and planning. DDM headed by the Director General focuses on networking and collaborating with the various Ministries, Departments and Scientific, Technical, Research, Academic institutions, Development Partners, UN Agencies and non-government Organizations within and outside the Government working on various aspects of disaster risk reduction and response management. DDM conducts research, organizes workshops and training programmes, publishes its reports and documents and provide various policy advisory services to the concerned Ministry of the Government of Bangladesh. DDM has the vision to be recognized as a vibrant Centre of Excellence for knowledge, research and capacity building on disaster management for the Disaster Management professionals across level. 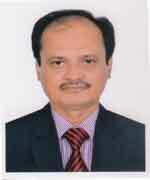 Mr. Satyendra Kumar Sarkar, BCS Admin.